Upon arriving in Los Angeles, a city that has inspired the California reveries of many, it is easy to uncover its allure. The heart and soul of America’s entertainment industry, L.A. applies the Californian spirit to the American dream: a fashion-forward atmosphere meets a soulful past. Whether you’re looking for a hotel getaway, great food, or fitness classes, the Santa Monica Promenade has a little bit of everything. Stroll through and watch street performers, stop by the Wednesday/Saturday farmer’s market, or catch a movie at one of the promenade’s many theaters. Dip your toes in the Pacific Ocean at Venice Beach (unless it’s wintertime; it’ll be ice cold). This eccentric beach community is home to dozens of “legends” (King Solomon the snake charmer comes to mind), a historic post office, and a consistently crowded fishing pier. A further subdivision of Venice is Muscle Beach, the site of buff bodybuilder's training. Bring your dog (or just yourself) to Runyon Canyon, a gorgeous urban park nestled amongst the Santa Monica Mountains. There are several paths to take, though they all offer incredible views, best seen from Inspiration Point. Pack a water bottle and prepare for a Californian wildlife encounter—a range of reptiles, hawks and owls, or maybe even a celebrity. The Watts Towers, composed of mostly metals and reclaimed materials, are an artist’s daydream coming true. The tallest tower clocks in at nearly 100 feet, with the bodies of the 19 individual structures coated in mosaic materials. 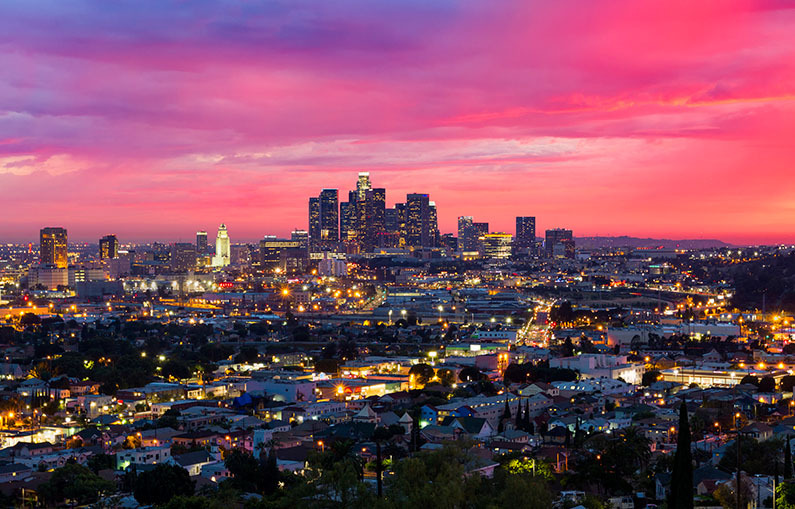 To plan your trip to Los Angeles or for an extended guide of things to do, visit the official Los Angeles city guide at http://www.discoverlosangeles.com.